An Air Canada A320 crew mistakenly lined up to land on the parallel Taxiway C instead of Runway 28R last Friday at San Francisco International Airport, a mistake that was caught and corrected by air traffic controllers. The incident sparked widespread news reporting about the “near miss” that could have caused “the greatest aviation disaster in history.” The Mercury News, based in the Bay Area, broke the story on Monday. The story notes that “four airplanes full of passengers and fuel” were parked on the taxiway waiting to take off, and all of them could have been destroyed if the A320 had in fact tried to land there. Peter Fitzpatrick, an Air Canada spokesman, told The News that Flight AC759 from Toronto “landed normally without incident” after a go-around. On the audio clip from atclive.net, the Air Canada pilot can be heard asking the tower why there are aircraft lights on the runway, and he is told there are no aircraft on the runway. Another unidentified voice then chimes in to say he’s lined up on the taxiway, and the controller tells him to go around. "If you could imagine an Airbus colliding with four passenger aircraft wide bodies, full of fuel and passengers, then you can imagine how horrific this could have been," retired United Airlines Captain Ross Aimer, CEO of Aero Consulting Experts, told the Mercury News. "If it is true, what happened probably came close to the greatest aviation disaster in history.” The FAA is now investigating the incident, according to Reuters. Click to hear Control Tower Video. Cockpit Confusion: Plane Lands at Wrong Airport. For passenger Hunter Poole, the landing of Southwest Airlines flight 4013 was just plain "crazy. "The jet, carrying 124 passengers, landed at the wrong airport in Branson, Mo., Jan. 13, 2014, 7 miles away, on a runway about half the size of the intended destination. A steep drop-off lurked beyond the Taney County Airport runway. "[It was] very shocking when we exited the plane and saw the actual runway and how close we were to the edge of the runway," Poole told ABC News. Passengers reported a sudden stop to the flight. Scott Schieffer says he could smell burning rubber from the plane's tires as they came to a halt. "The brakes were applied forcefully. We were lurched forward a little bit. I was glad I had my seatbelt on in that case," Schieffer told ABC News. The pilot spoke to passengers over the intercom after the landing, trying to calm their nerves. "People know we are here and we will be taking care of you just as soon as we can," the pilot said, as recorded by a passenger on the plane. "Thanks again for your patience and I apologize." Airline spokesman Brad Hawkins called the landing "uneventful," noting "all customers and crew are safe." He had no information on why the plane went to the wrong airport. But the pilots are likely to be reprimanded for a mishap that could have been disastrous, ABC News aviation consultant John Nance said. "There is a very high propensity for a collision, especially if you've got a large airplane making this mistake into a smaller airport," Nance said. The Boeing 737-700 took off at Chicago's Midway International Airport and was supposed to land at Branson Airport. A relief plane later brought the passengers from the proper Branson airport onto Dallas. The Federal Aviation Administration and National Transportation Safety Board are investigating the incident, which marks the second time in less than two months that a large jet landed at the wrong airport. ABOVE VIDEO: The virtual co-pilot technology will streamline training and lower costs by eliminating the need for a second person on the flight deck, with the ultimate goal being a mobile package trainees can take home and practice multiple scenarios from the comfort of their living room. ORLANDO, FLORIDA – Researchers from the University of Central Florida and The Boeing Company have developed a “virtual co-pilot” to help train new pilots. Until now, experienced teaching pilots needed to join pilot trainees in simulators.New virtual reality technology streamlines training and lowers costs by eliminating the need for a second person on the flight deck. By wearing a virtual reality headset, pilot trainees can see and interact with a 3D virtual co-pilot sitting next to them in the flight deck. The co-pilot – visible only to those wearing the headset – can speak, follow instructions from the trainee and even ask questions. “The pilot can have the same conversations with the virtual co-pilot as with a real co-pilot,” said David Metcalf, director of Mixed Emerging Technology Integration Lab (METIL) at UCF’s Institute for Simulation & Training. “It is very sophisticated, immersive technology.”Metcalf and his research team collaborated with Boeing for more than a year to develop a co-pilot avatar that’s fully customizable with different genders, cultures and languages. See video. Preventing outsourcing of jobs and jump-starting contract negotiations for American Airlines aircraft maintenance and ground support workers top the list of concerns in a picket scheduled Wednesday at Dallas Fort Worth International Airport. “Safety and security and preserving American work is what this is all about,” Brian Parker, strategic action coordinator of Transport Workers Union 513, said Tuesday in an interview with sister publication the Dallas Business Journal. American Airlines TWU Locals 513, 567 and 591, representing Fort Worth-based American’s (Nasdaq: AAL) aircraft maintenance, fleet service, facilities and ground support employees, will picket at Terminal D. They will host Transport Workers Union International leadership, and officers and members from labor organizations across the country. More than 1,000 people are expected to participate, Parker said. “We are not pleased that we are put in a position that we have to do this,” he said. “It’s not a happy day for us to have to step out on the curb and raise our collective voice. But our backs are against the wall and our story has to be told.” On the outsourcing issue, Parker said the number of jobs expected to be lost will be quantified at the protest. The union questioned an American Airlines plan to invest what TWU characterized as $100 million into a new aircraft maintenance facility in Brazil that will be staffed with foreign workers. American has been embroiled in contract discussions with labor groups since exiting bankruptcy and completing its merger with US Airways. American Airlines earlier this year boosted pay for flight attendants and pilots — a move that was welcomed by union leaders but questioned on Wall Street. American jumped ahead of contract negotiations scheduled for 2019 and 2020, respectively, for flight attendants and pilots, and gave flight attendants a 5 percent raise and pilots an 8 percent raise. The cost of the mid-contract adjustments will be $230 million in 2017 and $350 million annually in 2018 and 2019, American said at the time. When money was tight and the company’s survival was at stake, American Airlines asked TWU workers to tighten their belts to help the airline financially, and TWU did so, Parker said. Now, it’s time for American to “make things right,” he said. In between fending off the counterattacks of flight attendants, pilots and fellow passengers, Hudek managed to get the handle of the door halfway up but it would have been held in place by the pressurization of the cabin. Had the aircraft been at low altitude, he could have potentially opened the door although it’s not clear to what end. Severely outnumbered, he was finally zip-tied into submission on the galley floor but passengers had to keep holding him down until he was arrested by Seattle police an hour later. Hudek was flying on a company-issued flight pass used by relatives of airline employees. He was reportedly sober but did spend a couple of minutes in the bathroom before going on his rampage. He has been charged with interfering with a flight crew. Delta Air Lines has taken delivery of its first A350-900, and will be the first US-based airline to operate the newest member of Airbus’ leading wide-body family. The A350 XWB will bring unrivaled Eco-efficiency and a superior passenger experience to primarily transpacific routes starting in October. This delivery is the first of five A350-900s scheduled for delivery to Delta in 2017. The aircraft features 32 seats in the Delta One cabin, 48 seats in Delta Premium Select and 226 seats in the Main Cabin. The A350 XWB was the first aircraft to incorporate the innovative passenger experience elements collectively known as Airspace by Airbus. Delta’s customers will enjoy the quietest twin-aisle cabin, with more personal space and the largest overhead bins in the business. More fresh air, LED ambient lighting, and optimization of cabin pressure, temperature and humidity all combine for absolute passenger well-being. The A350 XWB also boasts the latest aerodynamic design, carbon fibre fuselage and wings, and the fuel-efficient Rolls-Royce Trent XWB engines. To date, Airbus has recorded a total of 847 firm orders for the A350 XWB from 45 customers worldwide, already making it one of the most successful wide-body aircraft ever. Airbus is a global leader in aeronautics, space and related services. More Information - Delta Air Lines is Supporting Partner for the upcoming World Travel Awards Latin America Gala Ceremony 2017 and Caribbean & North America Gala Ceremony 2017. JetBlue is disputing family members' characterization of an episode that prompted their removal from a June 21 flight and said it is considering barring the family from flying with the airline. Through a press release from their attorney, Tamir Raanan and Mandy Ifrah said they were returning home to New York from Fort Lauderdale, FL, with their three children when their 1-year-old, Eden, began kicking a seat in front of them as the plane was about to depart. The statement said Ifrah and the female passenger in the seat "exchanged a few words" before the woman moved to an empty seat next to her. According to the family, Ifrah apologized to the passenger, but a flight attendant nevertheless asked the pilot to return to the gate, and the family was removed from the flight. But in a statement to ABC News, JetBlue said the encounter was more serious and "included physical threats and profanities against a nearby customer." JetBlue said a crew member asked the family to step off the plane to discuss what happened. After they refused "repeated requests," the crew deplaned all passengers, and law enforcement officers escorted the family from the gate area, according to the airline. A video posted to YouTube shows a flight attendant asking the parents several times to step off the plane to discuss the matter. Both parents refuse. "I'm not getting off this plane," Ifrah is heard saying in the video. Another video posted to YouTube shows the two arguing with JetBlue staffers and law enforcement in the gate area about their removal. In the video, they demand to know if a woman on the plane is also being removed. It is unclear to whom they are referring. Raanan and Ifrah said the flight later departed for New York with their luggage, including their clothes and baby supplies, leaving them stranded without many of their belongings overnight. When they returned to the airport the next day, a JetBlue representative said the family was "banned from all future flights and could not provide an explanation," according to the family's press release. It took Raanan and Ifrah a week to get all their luggage, the press release said. The two claim that JetBlue never informed them why they were kicked off the flight or banned from future flights with the airline. The lawyer for the family disputed JetBlue's accusation that a member of the family "used profanity and threats of violence." JetBlue said the passengers were removed because of the parents' actions and it is investigating whether the behavior warrants banning them from future flights. The family's attorney called JetBlue's actions "unprofessional and reckless, if not malicious." The family has not filed a lawsuit against the airline, as of Wednesday morning. Frontier Airlines Inc. is taking Miami International Airport into new territory with flights to nine cities — five of which are not served by any other carrier at the airport. The Denver-based ultra-low-cost carrier this week announced its expansion at MIA and the return seasonal flights starting in October. From MIA, Frontier will fly to Buffalo, New York three times a week; Cincinnati three times a week; Cleveland three times a week; Detroit daily; Islip, New York daily; Milwaukee daily; Providence, Rhode Island daily; San Juan, Puerto Rico daily and Trenton, New Jersey daily. Frontier Airlines Chief Information Officer Rick Zeni and Miami-Dade Aviation Director say… Frontier will also bring back seasonal flights from Miami to Chicago daily, Las Vegas daily, New York City daily and Philadelphia daily through Nov. 10. Beginning in December, the airline will also host a seasonal service to Atlanta. "We look forward to welcoming Frontier’s new routes and passengers this fall," said Miami-Dade Aviation Director Emilio T. González. "It is encouraging to see that in addition to our expansion into new foreign markets, we are also growing our domestic route network." As Frontier expands at MIA, it will cease operations at Fort Lauderdale-Hollywood International Airport (FLL) later this year according to the Sun Sentinel. The airline is increasing its presence at an airport where Miramar-based ultra-low-cost competitor Spirit Airlines Inc. does not have any flights. Frontier entered the Miami market in 2014 with service to five cities and by 2015, expanded to seven cities in the United States with 54 weekly departures. The airline had more than 575,000 passengers to and from Miami in 2016, making it MIA's seventh-busiest airline. The new flights will bring Frontier's total number of Miami routes to 15. And more routes means Miami International Airport grows as a regional economic engine, bringing in more tourists for South Florida's hospitality businesses. The airport generates business revenue of $33.7 billion annually. American Airlines has announced it will terminate codeshare partnerships with Qatar Airways and Etihad Airways. The move is seen as part of a dispute over state subsidies American claims these carriers receive from their governments. Both the Middle Eastern carriers deny such claims. American and other United States-based carrier, notably Delta Air Lines and United Airlines, argue government subsidies allow Qatar Airways, Etihad and Emirates to offer lower fares and more amenities to long-haul, international travellers. American said cancelling code-sharing agreements with Qatar Airways and Etihad would not have a material financial impact. The decision comes as Qatar Airways confirmed it would go ahead with plans to buy a stake in American Airlines. The Middle Eastern carrier – which holds ten per cent of LATAM and a 20 per cent stake in British Airways-owner IAG - is seeking a ten per cent stake in its rival. “Our stock purchase request and filing is going ahead as normal,” Qatar Airways chief executive Akbar al-Baker said. Qatar Airways sent a revised antitrust filing to US regulators earlier seeking clearance to buy up to a ten per cent stake in American. Qatar Airways, American Airlines, British Airways, Iberia and LATAM are all members of the one world airline alliance. Al Baker added. He continued: “For the cabin crew serving aboard all air carriers, professionalism, skill and dedication are the qualities that matter. “I was wrong to imply that other factors, like age, are relevant.” The spat comes against a background of animosity between Middle Eastern and United States-based carriers, with the latter accusing Qatar Airways, Emirates and Etihad Airways of receiving illegal subsidies from governments.The row this week prompted American Airlines to cut codeshare ties with oneworld partner Qatar Airways and Etihad Airways. At the same time, Qatar Airways is seeking to acquire a ten per cent stake in American Airlines. American has so far proved reticent to such a deal. Qatar Airways already owns a 20 per cent stake in the owner of British Airways, International Airlines Group, and ten per cent of South America’s LATAM Airlines. SAN FRANCISCO (WFLA) – An AirAsia flight destined for Kuala Lumpur, Malaysia had to turn back early after a “technical issue” caused the plane to shake. About 90 minutes after the flight took off from Perth, Australia, the plane started shaking heavily and continued to shake for two hours, according to reports. “It was really shaky, very scary,” one passenger, Damien Stevens told CNN. Other passengers described the shaking as similar to a vibrating washing machine. According to reports, the pilot of the plane asked passengers to pray twice and to hold the “brace position” for two minutes before landing. One person shared a video of her experience on Instagram and wrote “I thought I might die.” There were 359 passengers on board the aircraft. A spokesman for the Perth Airport told CNN, “The pilot identified a technical issue with the engine. The plane turned around and safely landed back at Perth Airport.”The plane landed just before 10 am on Sunday. Fortunately, no injuries were reported as a result of the incident. It’s still unclear what caused the shake, but passengers said it was described to them as a problem with the jet’s Rolls-Royce engines. According to CNN, imbalances inside the engine can cause violent vibrations that can be felt throughout the plane. A photograph appearing in a new documentary is being touted as possible proof that famed American aviator Amelia Earhart and her navigator, Fred Noonan, may have survived the crash landing of their final flight more than 80 years ago. The History channel's new special, "Amelia Earhart: The Lost Evidence" contends that the photo depicts Earhart and Noonan after they crash-landed in the Marshall Islands in the Pacific Ocean. The History channel said the photo was discovered in the National Archives as part of a top secret Navy file. In the fuzzy photo, two people that the History channel claim are Earhart and Noonan are on a dock with several other people. The person who appears to be a woman, possibly Earhart, has her back toward the camera as she appears to gaze at a barge, The Associated Press reported. However, Ric Gillespie, the executive director of the International Group for Historic Aircraft Recovery, told ABC News that the woman with her back to the camera in the photo is not Earhart. Her hair was too long. "What you have here is a picture of a bunch of people on a wharf," Gillespie said, adding that there is "nothing to support the contention" that the photo contains Amelia Earhart. In the special, which airs Sunday, Shawn Henry, a former FBI executive assistant director, investigates new evidence related to Earhart's disappearance. The film argues that Earhart and Noonan were picked up by the Japanese military after they crashed in the Japanese-held Marshall Islands and that Earhart may have been held prisoner after she was presumed to be a spy, according to The AP. One common theory about what happened to Earhart and Noonan is that they crashed and sank in the South Pacific on July 2, 1937, as she attempted to become the first female pilot to circumnavigate the globe. She was the first woman to fly solo across the Atlantic Ocean. In June 2015, newly rediscovered footage, believed to be from the spring of 1937, showed Earhart in what may have been the last recording of her before she departed for the final flight. The History channel documentary also explores whether there was a cover-up in the investigation into Earhart's disappearance, since the U.S. government closed the investigation just two weeks after she and Noonan went missing, according to the AP. Henry said the documentary describes "a world-famous aviator who got caught up in an international dispute, was abandoned by her own government, and made the ultimate sacrifice," adding that Earhart "may very well be the first casualty of World War II." The documentary suggests that a decades-old theory that Earhart and Noonan crashed in the Marshall Islands and survived —- based on accounts of locals who claimed to have seen her —- could be accurate.The National Archives told ABC News that they are searching for the photo in their files and will continue investigating. ABC News' Darren Reynolds contributed to this report. Eighty years since she disappeared, Earhart's fate remains one of aviation's greatest unsolved mysteries. The official U.S. position is that Earhart and Noonan ran out of fuel on the way to Howland Island and crashed in the Pacific Ocean. The U.S. Coast Guard cutter Itasca was at Howland to assist Earhart in this pre-radar era by providing radio bearings and a smoke plume, but owing to radio problems, communication was sporadic and broken. According to the Itasca's radio logs, Earhart indicated she must be near the island but couldn't see it and was running low on gas. The Electra never made it to the island. lick. Firefighters extinguish flames from American Airlines Flight which caught fire on a runway at O'Hare International Airport in Chicago on Oct. 28, 2016. Panicked passengers on an American Airlines widebody aircraft in Chicago last October demanded to evacuate as a massive fire engulfed the right wing, and were blasted by exhaust from an engine that pilots hadn’t shut down.The U.S. National Transportation Safety Board released more than 500 pages of investigative reports Thursday detailing how a metallurgical flaw led to a violent right engine failure, a fire that raged outside the plane, and the ensuing evacuation. Flight attendants described a chaotic scene as they at first tried to prevent passengers from fleeing because the plane’s left engine was still operating and was buffeting two of the three escape slides. They relented after smoke began filling the cabin, and some of the passengers were blown to the tarmac by the blast of air from the working engine while they attempted to evacuate, according to the investigative reports. One flier told investigators that he “stood up to get away from the airplane and was blown over by the thrust coming out of the back of the engine,” NTSB wrote in one report. “He got back up again ran to a grass strip next to the runway. He could feel pain in his back.” Flight 383, a Boeing Co. 767-300, was accelerating for takeoff Oct. 28 when its right engine exploded in what’s known as an uncontained failure. Shrapnel from the disintegrating engine ripped through the hardened casing and it burst into flames. Leaking fuel triggered a massive fireball on the right of the plane as passengers evacuated out the other side. Out of 170 people aboard, one person suffered a serious injury and 19 had minor injuries, according to NTSB. The NTSB documents include technical reports on the crew’s performance, the failure in the engine, and the evacuation. They stop short of reaching any conclusions about the causes of the incident, which will be issued later. Flight attendants said they weren’t able to contact the cockpit to coordinate the evacuation with the pilots. Passengers had begun racing to the left side of the plane even before it stopped on the runway. Some people insisted on trying to bring their bags with them despite repeated calls to leave them by flight attendants. One attendant reported having an altercation with a passenger who refused to obey her instruction to leave luggage behind. “He refused to drop it and proceeded forward with the bag over his head,” the NTSB said in a report. A surveillance camera video released by the NTSB shows that the first of the plane’s exit doors was opened less than 20 seconds after the plane came to a stop. Fire was already engulfing the right side of the aircraft as black smoke billowed into the air. All three of the exit doors were opened within about 40 seconds of the plane stopping, though the engine’s exhaust was buffeting the two inflatable exit slides at the middle and rear of the aircraft. A flight attendant at the rear of the plane said he and another attendant held off opening the emergency exit while waiting to hear from the pilots. “As they were waiting the cabin began to fill with smoke, so they decided to open the door and evacuate,” NTSB said in a report. “Once the door was open he could see passengers rolling across the runway behind the engine and the slide blowing to the rear.” While attendants are given leeway to react to potentially catastrophic emergencies, American instructs them to assess whether engines are still running before ordering an evacuation, according to the NTSB. “We are proud of our pilots, flight attendants and other team members who responded quickly on Oct. 28, 2016, to take care of our customers and colleagues under very challenging circumstances,” American spokesman Ross Feinstein said. A rotating disk within the General Electric Co. CF6-80 engine had an “internal inclusion,” meaning foreign debris became embedded within the nickel- and chromium-based alloy designed to withstand the heat and high stresses of a jet engine, according to the NTSB. The engine that failed was built in 1997, according to GE. The company has issued a voluntary recommendation to operators that disks made from 1984 to 2000 be inspected using an ultrasonic technique during those engines’ next scheduled shop visit, said GE Aviation spokesman Rick Kennedy. Many of the roughly 4,000 disks made during the period have been retired and it’s not clear the number still in service, he said. Boeing didn’t immediately respond to requests for comment. The American flight had accelerated to 154 miles (248 kilometers) per hour before the pilots began applying the brakes, according to NTSB. It came to a stop about 25 seconds later. Fire crews arrived on scene and started applying foam to the burning jet fuel within 2 minutes and 51 seconds of being notified of the emergency, NTSB said.The fire burned so hot that the right wing partially collapsed. Boeing (NYSE: BA) and Norwegian celebrated the delivery today of the airline’s first two 737 MAX 8s. One of the airplanes is seen here, taking off from the Seattle Delivery Center. SEATTLE, 2017-Jul-04 — /Travel PR News/ — Boeing (NYSE: BA) and Norwegian celebrated the delivery today of the airline’s first two 737 MAX 8s. Norwegian is the first European carrier to take delivery of the 737 MAX and will deploy the airplanes on transatlantic flights between northern Europe and the east coast of the United States. “We have been eagerly awaiting the delivery of our Boeing 737 MAX, and we are overjoyed to have it join our fleet today,” said Bjørn Kjos, Norwegian’s Chief Executive Officer. “We are the first European airline to operate this brand-new aircraft, and we’re also the first airline in the world to operate it to and from the United States. This aircraft allows us to open up new, unserved routes and offer both Americans and Europeans even more affordable transatlantic fares. It will also provide our passengers with a quieter onboard experience, whilst it significantly reduces both fuel use and carbon dioxide emissions.” Norwegian is the sixth largest low-cost carrier in the world and flies over 500 routes to more than 150 destinations in Europe, North Africa, the Middle East, Thailand, the Caribbean and the US. It currently operates a fleet of more than 100 Next-Generation 737-800s and over a dozen 787-8 and 787-9 Dreamliners. The Oslo-headquartered carrier also has unfilled orders for 108 737 MAX 8s and 19 787-9s. The 737 MAX incorporates the latest technology CFM International LEAP-1B engines, Advanced Technology winglets, Boeing Sky Interior, large flight deck displays, and other improvements to deliver the highest efficiency, reliability and passenger comfort in the single-aisle market. It is the fastest-selling airplane in Boeing history. A 747 that has been parked at Quonset State Airport in Rhode Island for a couple of years now is being transformed into a replica of Air Force One, according to a local news station. The 747 first flew into the airport in Evergreen livery in June 2015, and has been sitting outside through rain, snow and wind. Now workers on site are beginning the transformation with a fresh coat of exterior paint. Franklin Exhibits, based in New York, owns the airplane. They told Channel 10 they plan to replicate every detail of the presidential aircraft, inside and out, to create a tourist attraction. The finished airplane may first be based at Quonset for a few months, but then will be removed via barge, from the airport’s shipping port on Narragansett Bay, according to Channel 10. It then will either be transported to a new site, perhaps in Washington, D.C., or it may become a traveling exhibit. The 747 has been in production since 1970, but Boeing officials said recently that demand is slowing down and they don’t expect to sell any more of them for commercial air travel. A few may still be built for freight and VIP transport. Boeing has produced more than 1,500 of the distinctive jets. At least two actual Air Force One aircraft are in museums. The first jet-powered Air Force One, a Boeing 707-120, is at the Museum of Flight, in Seattle. The Ronald Reagan presidential library, in California, has a Boeing 707 that flew from 1973 to 2001, serving seven presidents. Twenty-two airplanes have flown as official presidential aircraft, starting with a Douglas C-54 Skymaster during the Eisenhower administration in 1959. Aircraft were used before that, beginning with President Roosevelt. The 747s have been the presidential aircraft since 1990. The White House today is served by two highly customized Boeing 747-200B series aircraft. Embraer SA’s E190 aircraft is flown by airlines around the world, but has struggled to find much of a home in North America. Now the largest U.S. operator of the plane may walk away, casting doubts on whether the next version of the jet can succeed in the market. JetBlue Airways Corp. plans to decide by the end of this year whether to join American Airlines Group Inc. and Air Canada in dropping the plane, ending an original plan for one hundred E190s in the New York-based carrier’s fleet. It would leave Aeromexico Connect as the only airline in North America flying Embraer’s second best-selling commercial jet, which can carry 96 to 114 passengers. The E190’s fall from favor in the U.S., the world’s largest air travel market, illustrates the struggle for aircraft designed for point-to-point, high-frequency routes, operating between smaller planes that ferry passengers to airport hubs and big jets that are flown greater distances by large carriers. Operators have to charge higher fares for the convenience of multiple daily flights between the same cities to cover the increased costs of flying a plane with fewer seats. At least 38 airlines outside of North America fly 40 or more E190s. The jet has competed against 120- to 150-seat planes from Boeing Co. and Airbus SE that were already in use when it was introduced, John Slattery, head of the Brazilian planemaker’s commercial aviation unit, said in an interview. JetBlue’s version carries 100 passengers. The shaky position of the E190 doesn’t mean that Embraer is lacking fans in the U.S. The planemaker’s 76-seat E175 aircraft is flown by most U.S. regional carriers. But union contracts at American, United and Delta airlines require that planes with more than 76 seats be flown as part of their main jet operations, where higher-paid pilots raise the operating costs of the E190. Still, Slattery doesn’t think that history will hamper Embraer’s ability to sell the new version in the U.S.
“It feels to me we are at a point of inflection, a moment of transition, where the U.S. major network carriers and also the low-cost carriers and ultra low-cost carriers are looking at re-fleeting at the lower end of their narrow-body fleet,” Slattery said. “That’s where the 190 and 195 E2 will play. We predict plenty of opportunity for Embraer in North America.” Every option is being considered as part of JetBlue’s review, Chief Financial Officer Steve Priest has said, including shedding the sixty E190s it now flies, keeping them or replacing them with another small plane. In addition to Embraer, candidates include Bombardier Inc.’s C Series or Airbus’s A319. A smaller jet from Mitsubishi Corp. also may be ready by mid-2018. “I am cautiously optimistic we will continue our amazing partnership with JetBlue for many decades to come,” Slattery said. The planemaker will present “the full family” of its aircraft to JetBlue, “especially the E195 E2, which we believe could be a perfect fit for the broader JetBlue fleet for the coming years.” JetBlue’s E190s have a troubled history, from early teething pains with software following their 2005 debut, to pneumatic system problems to engine-maintenance issues that drove up costs as late as 2013. Hunter Keay, a Wolfe Research analyst, has said he expects JetBlue “will announce its exit as an E190 operator by the end of the year.” American and Air Canada plan to shed their E190s -- 20 and 25, respectively -- by the end of 2019. Costs for each seat flown a mile on the aircraft are about 20 percent higher than JetBlue’s Airbus planes when adjusted for longer routes flown by the larger jets, Priest has said. The E190 also has “significantly higher” revenue on that basis, he said, declining to be more specific. Such differences generally are true for smaller jets because there are fewer seats to spread both costs and revenue across. JetBlue’s E190s have been used for high-frequency flights to the Caribbean and out of Boston that are favored by business travelers willing to pay more. Fort Lauderdale airport's new c oncourse to bring more flights. British Airways next week will begin its first scheduled commercial service from Fort Lauderdale-Hollywood International Airport to London's Gatwick Airport.Starting July 6, the, United Kingdom-based airline will operate the new nonstop route on Tuesdays, Thursdays, Saturdays and Sundays. FLL says the new service connects Broward to not just London, but more than 150 destinations around the world. Officials will commemorate the inaugural flight on Thursday. FLL CEO Mark Gale and Director of International Sales for the Greater Fort Lauderdale Convention & Visitors Erick Garnica will attend along with Doug Caines, vice president of business development for British Airways and Broward County commissioners. With nearly 700 daily arrivals and departures, FLL offers nonstop service to more than 75 cities and connections to more than 60 international destinations in 30 countries. The airport recently completed a terminal expansion that launched flights to more international destinations with Southwest Airlines. More about our guest host who is appearing on our EAL Radio Show Broadcast, Episode 324 "Fear of Flying" and airing on Monday evening, June 26, 2017 at 7:00 PM ET. More on Christina and her fears of flying, and our guest host scheduled for our show. How to Get Over Your Fear of Flying? : FLY! During this transitional period I was able to fly my pants off (some two hundred hours in less than a year). I should backup though. While I loved travel, I was petrified of flying. It was in 2006 that I made a promise to myself to conquer my fear of flying by taking flying lessons. At the same time I met the love of my life and partner Bryan. I'd have to say, while leaving corporate America gave me the space to discover my greatest gifts, it was flying that gave me the courage to pursue them. Flying Gave me Courage: Often folks ask me how I kicked my fear of flying to the curb, and it was actually easy, I just DID it. If I haven't been up flying for a while or I'm learning a new maneuver or experiencing a new situation, I still experience fear. But, I've learned if I don't fight the fear, and let it come, it quickly passes. I simply focus on my training and flying the airplane. In the past, I think the reason fear won, was I kept fighting against it. By doing so, I made the fear stronger, and myself weaker. So my advice would be for anything that frightens you, (like the Nike Motto), Just Do It! and when the fear rises, don't fight it, let it come and pass. In fact, I'd say whatever great accomplishment you want to reach, from getting your private pilot certificate, starting your own business, or living your passion and purpose in the world, you'll have to do what makes you scared and makes you uncomfortable. In the end though, constantly pushing yourself beyond your limits is what will allow you to live the life of your dreams! Go for IT! " It is the 60th Anniversary of the First Flight of the 707 Prototype - the Dash 80. The product of a bunch of engineers who probably lived in Bellevue, Washington, wore wing-tipped shoes with argyle socks , white shirts with pocket protectors, and carried K & E slipsticks (slide rules.) They produced a machine that - on a dozen levels - changed the world. But the first flight of this matriarch of Boeing's long line of descendant jet transports, as advanced as it was, might have led to a very different outcome. And, a very different Boeing. 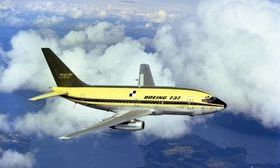 The story of the $16 million gamble, betting the company by building the 707 with Boeing's own funds and no customers, has been told often. But, there was more to the story. The actor and pilot was honored for his work with the EAA's Young Eagles program. Harrison Ford is a great example of all of the attributes we look for in an honoree, and his name now joins the many other amazing recipients of years past. Thanks to all who came and enjoyed a fantastic luncheon and event! Harrison Ford had the people of Boston buzzing earlier this month, when he was spotted visiting popular locations like the Freedom Trail and Fanueil Hall. He was in town as a guest of the Aero Club of New England, which honored the actor and pilot with its annual Godfrey L. Cabot Award for his work in promoting the Experimental Aircraft Association’s Young Eagles program, which is celebrating its 25th anniversary this year. “The Young Eagles program… is an effort that many of you have contributed to and it has provided a great service to those who have an ambition to join our aviation family,” the actor told the audience. “I was very honored and very reluctant to accept the obligation of following in the footsteps of General Chuck Yeager… It led me to recognize and realize that I could possibly be useful with my notoriety in carrying some of the water that needs to be brought, so that people understand the value of general aviation and the incredible benefit aviation has brought to our modern lives.” Ford’s acceptance speech was equal parts humble and inspirational, but he also called on ACONE members to be vocal about the current issues affecting GA.
Sen. James Inhofe spearheads the GA-friendly bill as experts point to $100 billion in needed airport infrastructure improvements in the next five years. Infrastructure investments at U.S. general aviation airports may become a lot more flexible thanks to a bipartisan bill introduced by Sen. Jim Inhofe (R-Okla.) and Sen. Tammy Duckworth (D-Ill.). S.1320, the Forward Looking Investment in General Aviation, Hangars, and Tarmacs (Flight) Act of 2017, among other things, moves to reform Non-Primary Entitlement (NPE) funding, cut red tape for environmental reviews for GA airport projects, and designates certain airports across the country as “Disaster Relief Airports.” Inhofe, a member of the Senate Commerce, Science and Transportation Committee and a certified pilot with over 11,000 hours, boasted many positive reasons for the legislation. “Our general aviation airports are vital to aviation safety and positively impact the efficiency of large commercial airports, emergency medical operations, law enforcement activities and agriculture and small businesses activities throughout the United States,” Inhofe said in an announcement on his website. “These airports also manage military-related air operations, which directly supports the readiness of our armed services. To enjoy these benefits, it is vital that our GA airports are equipped to handle their day-to-day demands. “Oklahoma is home to 96 GA airports, which will need $303 million in critical infrastructure updates over the next five years. As a pilot myself, I know first-hand the needs of the GA community and the Flight Act makes a number of needed reforms to facilitate GA airport infrastructure investment. The Flight Act allows GA airports more FAA funding flexibility, expedites the environmental review process and incentivizes public private partnerships. This legislation builds upon past Congressional efforts to support GA airports and will ultimately grow the positive impact GA airports have on the larger airport ecosystem.” Duckworth, who is also a pilot, said he also understands why small airports are a benefit. Southwest Has a New Terminal in Ft. Lauderdale! Southwest is counting down to the opening of Fort Lauderdale-Hollywood International Airport's new Concourse A in Terminal 1, when the airline will launch a swath of new international flights. The Dallas-based airline (NYSE: LUV) this week announced it would launch nonstop daily flights between FLL and San José, Costa Rica and Punta Cana in the Dominican Republic, starting November. On June 4, the airline previously announced it would launch multiple nonstop flights between FLL and Montego Bay, Jamaica; Grand Cayman; Belize and Cancun, Mexico. The new service next month coincides with the opening of 5 new gates. Click on the slideshow to see renderings of FLL's new Concourse A in Terminal 1. Photos of FLL from 1950s and 1985 for remembering back when! MUKILTEO (pronounced Mu kil teo). One of the rarest aircraft in the world recently landed at Paine Field’s Historic Flight Foundation in Mukilteo. The museum added a 1930s-era airliner, the de Havilland Dragon Rapide. The sleek airplane is a jewel in the foundation’s collection of vintage airplanes, which date from the end of the barnstormer days in the late 1920s to the beginning of commercial jet age in the late 1950s. 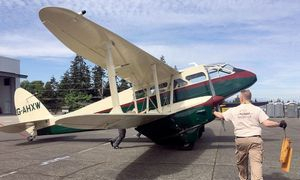 The Dragon Rapide “defines the end of an era” when planes were made with wood and fabric, said John Sessions, the Historic Flight Foundation’s owner and founder. The plane’s durability and reliability meant airlines could stick to regularly scheduled flights, launching a new era of air travel, he said. The Dragon Rapide first flew April 17, 1934, at the Hatfield Aerodrome north of London. It was designed by Geoffrey de Havilland, one of the most influential airplane designers of the 20th century. It quickly proved popular with airlines and even with a member of the United Kingdom’s royal family. Edward, Prince of Wales, used one of the twin-engine biplanes for official travel, including to fly to London for his coronation (as Edward VIII) in 1936. The plane’s durability and reliability meant airlines could stick to regularly scheduled flights, launching a new era of air travel, he said. The Dragon Rapide first flew April 17, 1934, at the Hatfield Aerodrome north of London. It was designed by Geoffrey de Havilland, one of the most influential airplane designers of the 20th century. It quickly proved popular with airlines and even with a member of the United Kingdom’s royal family. Edward, Prince of Wales, used one of the twin-engine biplanes for official travel, including to fly to London for his coronation (as Edward VIII) in 1936. 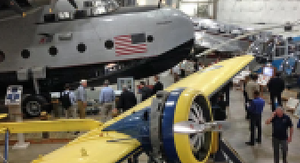 Sessions opened the Historic Flight Foundation in 2010 to celebrate the innovation and creativity that fueled a golden age of propeller-powered airplanes. The period is bookmarked by pivotal moments — Charles Lindbergh’s crossing of the Atlantic in 1927 and the development of Boeing’s 707, the first commercially successful jetliner in the 1950s. The museum is open to the public year round. All the planes in the collection have been restored to original flying condition. The foundation’s Dragon Rapide was built in 1944 for the Royal Air Force. After the war, it was converted into an airliner and used by British European Airways until 1953. For the next 18 years, it was used for aerial surveying of major public projects, such as highway and seaport construction. The aging plane was next shipped across the Atlantic in 1971, to the Experimental Aircraft Association Museum in Oshkosh, Wisconsin. The Dragon Rapide remained on display until late 1997, when a private collector in California, William ‘Bud’ Field, bought it and moved it to the West Coast. After Field died in 2010, the plane stayed in storage as part of his estate. When Sessions learned of the airplane’s existence, he contacted Field’s family and asked about acquiring the historic airplane. He declined to say how much he paid for the plane. Earlier this year, he took off in the Dragon Rapide from Davis, California, and turned north. Flying into Oregon, he felt an unusual vibration. He set down in Medford, and inspected the plane. A key part of the left engine had failed, causing a significant drop in power. The plane stayed in Medford until spare parts arrived from the U.K. Sessions flew it to Paine Field in early spring. The Dragon Rapide is slated to head out soon to British Columbia, where it will be overhauled by a restoration company, Sealand Aviation. The plane will be painted in either its World War II colors or as it would have looked during its days with British European Airways. Mechanics also will painstakingly inspect the airplane and replace any questionable parts, Sessions said. “You can only be wrong once in these old airplanes.” Dan Catchpole: 425-339-3454; dcatchpole@heraldnet.com; Twitter: @dcatchpole. A Malaysia Airlines flight has been forced to turn back to Melbourne Airport on June 1, 2017 after a passenger attempted to enter the cockpit of the plane. The airline’s cabin crew, with the help of a passenger, restrained the assailant on board flight MH128 to Kuala Lumpur. He was then handcuffed and subdued. The flight landed safely and the passenger was arrested, police said, adding it was not terror-related. The flight has now been rescheduled to operate as MH128D today. Passengers are expected to depart Melbourne and arrive in Kuala Lumpur at 02:35 local time the next day. Passengers with critical onward connections have been allocated seats on Malaysia Airlines’ earlier flight, MH148 departing Melbourne. 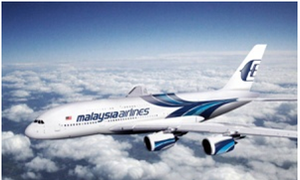 A total of three Malaysia Airlines flights are now scheduled to depart Melbourne today. Victoria Police chief commissioner Graham Ashton said the suspect was a 25-year-old Sri Lankan man who was released from a Melbourne psychiatric facility earlier on Wednesday. The Australian Security authorities have screened all baggage and it is being transferred on the respective flights that passengers are rebooked on. Malaysia Airlines’ technical and cabin crew that operated MH128/31May will not operate on flights until further notice. A fresh set of crew will be operating MH128D. “An investigation led by Australian authorities is currently underway and Malaysia Airlines wishes to extend its appreciation to everyone involved during the emergency situation,” the carrier said in a statement. John Travolta is hanging up his four-barred Qantas uniform and donating his personal Boeing 707 to an Australian museum, which will restore it. Travolta said he plans to personally deliver the Boeing to the Historic Aircraft Restoration Society (HARS) in Illawarra, New South Wales, after some maintenance on the aircraft. Travolta discussed the possibility of sending the aircraft to the museum in 2009 when he was invited to fly the HARS Super Constellation. He decided to let the jet go this year and the museum was happy to take it off his hands. "I am truly excited by this project and am just so pleased that this beautiful aircraft, for which I obviously have very fond memories, will continue to fly well into the future," Travolta said in a statement. Travolta bought the old airliner in 1998, a few years after he chartered it for a fast trip to Europe. It was originally delivered to Qantas in 1964, one of 13 shortened, long-range versions of the venerable design. It was outfitted with the executive interior in 1973 and had previously been owned by Frank Sinatra and billionaire Kirk Kirkorian. 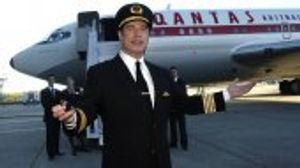 Travolta operated it himself for a few years before striking a deal with Qantas to paint it in historic livery and fly it as an ambassador for the airline in exchange for maintenance. Even a movie superstar couldn’t justify the maintenance costs on the thirsty jet. "Any plane this size is too pricey," Travolta told The Australian. "I did it for four years on my own and it was much easier to do a barter system and promote the airline.” Travolta still owns a GII, an Eclipse, a Yugoslavian Soko fighter and a couple of ultralights. The Tomb of the Unknown Soldier at Arlington National Cemetery stands atop a hill overlooking Washington, D.C. Here rests in honored glory an American soldier known but to God.The Tomb sarcophagus was placed above the grave of the Unknown Soldier of World War I. West of the World War I Unknown are the crypts of unknowns from World War II, Korea and Vietnam. Those three graves are marked with white marble slabs flush with the plaza. "Soldiers never die unless their forgotten." The tomb is guarded 24 hours a day and the Tomb Guards never let them be forgotten. The guards take 21 steps back and forth on the mat, to symbolize the 21 Gun Salute...the highest honor given...as well as each turn they stop for 21 seconds and again in front of the tomb for 21 seconds to honor them. 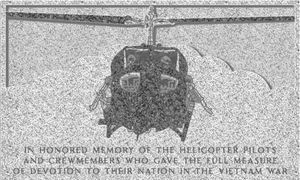 An Update on the monument to the helicopter crews of the Vietnam War will be placed at Arlington Cemetery, after a long uphill fight by advocates. History of "The Battle of Dak To"
"The Battle of Đắk Tô" was a series of major engagements of the Vietnam War that took place between November 3 to 23, 1967, in Kon Tum Province, in the Central Highlands of the Republic of Vietnam (South Vietnam). The action at Đắk Tô was one of a series of People's Army of Vietnam (PAVN) offensive initiatives that began during the second half of the year. North Vietnamese attacks at Lộc Ninh (in Bình Long Province), Song Be (in Phước Long Province), and at Con Thien and Khe Sanh, (in Quảng Trị Province), were other actions which, combined with Đắk Tô, became known as "the border battles." The objective of the PAVN forces was to distract American and South Vietnamese forces away from cities towards the borders in preparation for the Tet Offensive. During the summer of 1967, heavy contact with PAVN forces in the area prompted the launching of Operation Greeley, a combined search and destroy effort by elements of the U.S. Army's 4th Infantry Division and 173rd Airborne Brigade, along with the Army of the Republic of Vietnam's 42nd Infantry Regiment and Airborne units. The fighting was intense and lasted into the fall, when the North Vietnamese seemingly withdrew. By late October, however, U.S. intelligence indicated that local communist units had been reinforced and combined into the 1st PAVN Division, which was tasked with the capture of Đắk Tô and the destruction of a brigade-size U.S. unit. Information provided by a PAVN defector provided the allies a good indication of the locations of North Vietnamese forces. This intelligence prompted the launching of Operation MacArthur, and brought the units back to the area along with more reinforcements from the ARVN Airborne Division. The battles that erupted on the hill masses south and southeast of Đắk Tô became some of the hardest-fought and bloodiest battles of the Vietnam War. About 5,000 helicopters were flown during that war, according to Time, and 42 percent of them were destroyed by enemy fire, bad weather and other problems. More than 2,000 pilots and 2,700 crewmen and gunners were killed. They helped to rescue more than 90,000 victims of war. Retired Air Force Lt. Col. Bob Hesselbein, who flew AH-1 Cobra gunships in Vietnam, helped spearhead the campaign for the memorial. “People need to create memorials and monuments to honor those who give the ultimate sacrifice,” he said. The monument will be placed in Section 35 along Memorial Drive, not far from the Tomb of the Unknowns. International Airport in Windsor Locks, Connecticut. The $1.9 million project aims to enhance the visitor experience. The project will create lofty mezzanines in two of the massive aircraft hangars, which will provide vistas over the museum's aircraft collections. The mezzanines, equipped with grand staircases and elevators, will create space for additional exhibits, public programs and events. The project will also install energy-efficient heat and air-conditioning systems, as well as new LED lighting. Aircraft will be relocated to take advantage of the new perspectives. The project also will create new exhibits and graphics in the museum's galleries and add new exterior signage and branding. The museum will remain open throughout the construction, with completion slated for mid-August. The work is funded by a state bond, grants from the Hartford Foundation for Public Giving, Pratt & Whitney and museum resources. The collection includes a B-29 Superfortress; a Silas Brooks balloon basket built in 1870, which is believed to be the oldest surviving aircraft in the United States; the 1912 Bunce-Curtiss Pusher, the oldest surviving Connecticut-built airplane; the Sikorsky S-39, the oldest surviving Sikorsky aircraft; and a Kaman K-225 helicopter, the oldest surviving Kaman-built aircraft. based airline will be the first to put the 737 MAX into commercial service. The 737 MAX family is designed to offer the greatest flexibility, reliability and efficiency in the single-aisle market. Every airplane will feature the new Boeing Sky Interior, highlighted by modern sculpted sidewalls and window reveals, LED lighting that enhances the sense of spaciousness and larger pivoting overhead stowage bins. The 737 MAX is the fastest-selling airplane in Boeing’s history. To date, it has received almost 3,700 orders from 87 customers across the world. This week 50 yrs ago was the 1st flight. see 737 Max (R. Photo)! Neal mentioned that the pilots used to call the Boeing 737 when it first came out "FLUFF!" Do you remember what that meant? The plane maker has concerns about a manufacturing quality issue inside the jet's new engines. "Out of an abundance of caution, we decided to temporarily suspend MAX flights. The step is consistent with our priority focus on safety for all who use and fly our products," the plane maker said in a statement. More...Go to Boeing. While researching it, I went to the NTSB database, expecting to find a Las Vegas incident matching the news stories. It was not there. The monthly data base had nearly 200 incidents in August (six per day! ), mostly involving little GA flibs, but the near-conflagration at KLAS was not included. This, despite the fact, the actual Report by FAA has lengthy text showing NTSB was brought into the case early. This is the scariest one that I have read so far. Interestingly, it didn’t come out of the U.S., but Australia. Makes me wonder how many similar or worse incidents have occurred here, but we never hear about them. The traveling public is being BS’ed by the Feds and the airlines. The NTSB issued its preliminary report this week on the fatal crash of an Icon A5 on May 8 in California. A witness, who was aboard a boat on Lake Berryessa, told investigators he saw the A5 flying over the lake about 30 to 50 feet above the water, at what seemed to be a low speed. The witness said the airplane passed by his position and entered a nearby cove, traveling in a northerly direction. The witness heard the engine "rev up" as the airplane drifted to the right side of the cove. Subsequently, the airplane pitched upward and entered a left turn, just before it traveled beyond the witness's field of view. The witness said he heard the sound of impact shortly after losing sight of the airplane. All major structural components of the airplane were located at the accident site, the NTSB said. Icon employees Jon Karkow and Cagri Sever were killed in the crash. Icon said it suspended all flight operations of the A5 fleet immediately after the accident, but flight operations have now resumed following the NTSB preliminary report. The wreckage from the accident flight has been recovered and moved to a secure location, the NTSB said. The restored B-29 Doc made its airshow debut on Saturday, in the Defenders of Liberty Airshow at Barksdale Air Force Base, in Louisiana. The air show was sold out both days, with record crowds, Wells said, drawing more than 170,000 people each day. “People were just amazed to see the airplane, the sheer beauty of the airplane, and amazed by the story of how it was restored by thousands of volunteers over 15 years. People were just thrilled to see it.” Wells said the airplane flew and operated beautifully, with no problems. The B-29 will next fly June 10 and 11 at Whiteman Air Force Base in Missouri, in the Wings Over Whiteman air show. Wells said they are also working to schedule a public event in Wichita sometime in June, to make up for an April open house that had to be canceled due to weather. Later this summer, the B-29 will fly at EAA AirVenture in Oshkosh, Wisconsin, July 24 to 30. More events are in the works and will be announced as plans are finalized, Wells said. A Southwest Airlines pilot was arrested in Albany, New York, on Monday for trying to board his plane with a loaded handgun in one of his carry-on bags. TSA officers spotted the .380 caliber gun during a routine X-ray scan, the agency said in a news release. The gun was loaded with six bullets. The pilot said he was unaware the weapon was in the bag, a Southwest spokesperson said. He was taken into custody by the local sheriff and charged with criminal possession of a weapon. The pilot’s name was not released. The flight, bound for Chicago-Midway, was delayed for about four hours. Firearms, firearm parts and ammunition are not permitted in carry-on bags, but they can be transported in checked bags if they are unloaded, properly packed and declared to the airline, according to the TSA. Wiatt told AVweb this week. “We feel that with the current concerns over a pilot shortage, women could really step up and save the day.” Wiatt’s company, Atlantic Films, is based in Lakeland, Florida, which led her to discover the aviation world via Sun ’n Fun. “I saw Patty Wagstaff fly, and I was just blown away by her skill and dedication,” Wiatt says. “I just felt really inspired.” As a former schoolteacher, Wiatt is also aware of the barriers that keep girls from seeking out opportunities in science and technology fields. The film examines why many young girls don’t see themselves as potentially successful in these fields and explores how society can begin to change this perception. “The outpouring of support from the aviation community has been amazing,” says Wiatt. “It seems everyone we reach out to wants to be involved in helping to tell the story.” Wiatt will be talking about her film on Sun ’n Fun Radio next Friday, April 7, at 9:30 a.m., at the show, and invites anyone on the grounds to stop by and say hi, or catch up with her via Facebook at flylikeagirlfilm. Captain Karlene Pettit is gathering data on the contributing factors with training, safety culture, understanding, aviation passion and automation usage. 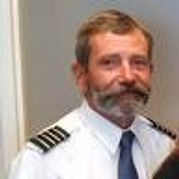 Episode 307 with our invited guests showcased two outstanding and very knowledgeable passionate authors, Christine Negroni, and Captain Karlene Petitt, along with our own former Eastern Pilot, Captain George Jehn. All three authors have donated many years into this subject. They gave us a detailed discussion on the need for more Safety awareness for the pilots coming out of training today. Also, those experienced pilots need to maintain exceptional piloting with the upcoming technology that is being given to the new aircraft of today. These professionals are all firmly committed to seek ways to educate more of the public in the awareness of this vital issue. The aircraft today that have crashed were discussed along with the methods that perhaps in some cases could have made these accidents unavoidable. Maintenance of the aircraft, effective and ongoing educational pilot training, more time in between flights, a sincere desire to maintain safety at all costs and much more were discussed. All three have written books and discussed Air Crash Investigations and the like, and shared their thoughts and views with our listeners for a tremendous 1 1/2 hour discussion. We were extreme happy to have them join us and give their expertise on safety and airline disasters that have destroyed the lives of love ones around the world. To hear this video, Episode 307 can be found on our website: www.blogtalkradio.com/capteddie/2017/02/21/eal-radio-episode-307. See below on how to order these books. Investigators probing the crash of an Aerosucre Boeing 727-200 freighter during departure have so far been unable to determine the take-off weight of the aircraft. The 727 overran at Puerto Carreno as it attempted to depart the airport in a tailwind, Colombian accident investigation authority GRIAA has found. But it has been unable to locate details of the manifest or the aircraft’s weight and balance during examination of the wreckage. GRIAA adds that there was no copy of this information in the company’s offices. The inquiry estimates that the aircraft, bound for Bogota, was transporting nine pallets containing 19,820lb – just under 9,000kg – of cargo, taking this assumption from the chartering company’s documents. As the 727 conducted its take-off roll, it overran and struck the perimeter fence, as well as other obstacles, which badly damaged the jet. It became airborne for a short time before crashing in a field and being consumed by fire. The flight plan submitted by Aerosucre, provided to the inquiry by the air traffic service of Puerto Carreno, listed five occupants on board the jet, although six were located at the crash site – five crew members and a cargo specialist. Two of the six survived the initial impact but one succumbed to injuries while being transferred to hospital. The captain of the aircraft had accumulated over 8,700h including more than 6,800h on type. The First Officer had nearly 3,300h on type. GRIAA says the aircraft had previously arrived at Puerto Carreno from Bogota, carrying a load of perishable and miscellaneous freight weighing 20,423lb and some 31,500lb of fuel. The 727 overran at Puerto Carreno as it attempted to depart the airport in a tailwind, Colombian accident investigation authority GRIAA has found. But it has been unable to locate details of the manifest or the aircraft’s weight and balance during examination of the wreckage. GRIAA adds that there was no copy of this information in the company’s offices. The inquiry estimates that the aircraft, bound for Bogota, was transporting nine pallets containing 19,820lb – just under 9,000kg – of cargo, taking this assumption from the chartering company’s documents. As the 727 conducted its take-off roll, it overran and struck the perimeter fence, as well as other obstacles, which badly damaged the jet. It became airborne for a short time before crashing in a field and being consumed by fire. The flight plan submitted by Aerosucre, provided to the inquiry by the air traffic service of Puerto Carreno, listed five occupants on board the jet, although six were located at the crash site – five crew members and a cargo specialist. Two of the six survived the initial impact but one succumbed to injuries while being transferred to hospital. The captain of the aircraft had accumulated over 8,700h including more than 6,800h on type. The First Officer had nearly 3,300h on type. GRIAA says the aircraft had previously arrived at Puerto Carreno from Bogota, carrying a load of perishable and miscellaneous freight weighing 20,423lb and some 31,500lb of fuel. It is with a sad heart that I advise you that Captain David Hill aka “Mouse” took his life this weekend. David was hired by Piedmont March 9, 1981 starting in ORF. 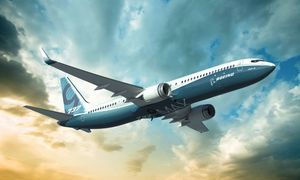 SEATTLE, Feb 14 (Reuters) - Boeing Co said on Tuesday it plans to fly its new 737 MAX-9 aircraft for the first time in April, a further sign the company will start delivering the large version of the workhorse plane in 2018. For more go to this Hyperlink...Boeing! 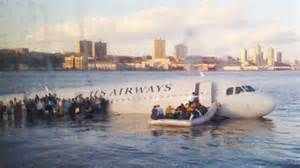 This 'Miracle on the Hudson' plane is now the focal point of the Carolinas Aviation Museum. Note the damage to the rear lower fuselage where it impacted the river and also that the engine pylon has been bent upwards. Number 1 Engine Arrives at Carolinas Aviation Museum. The number 1 (left) engine of the Miracle on the Hudson Aircraft has been reassembled and is on display at the museum. This is the engine that ended up on the bottom of the Hudson and created much of the drama at the end of the "SULLY" movie. Stop by and learn all about what happened and take a look at the complete engine. As one can readily understand it was a truly awe-inspiring exhibit! Call it skyway to HEL. Finnish Air flight AY666 took off from Copenhagen bound for Helsinki (HEL) on Friday the 13th. The 13-year-old aircraft landed safely at the stroke of 13 o'clock local time. Finnair Flight 666 nonstop from Denmark to HEL is a regular thing, the airline said. The pilot told The Daily Mail that the cabin crew is good at offering comfort to passengers who are spooked by flying on a plane that bears the number of the beast as described in Revelation 13:15-18. But on the rare occasion that the trusty Airbus takes off on Friday the 13th, it gets tons of global attention and lots of reporters write stories about it, the company said with complete accuracy. The flight could trigger three actual psychiatric phobias with names that look like an eye-chart. Allegedly, psychiatrists will prescribe anxiety medications for these afflictions, which is hard to believe but in this day and age, anything goes. Fear of the number 13 is called triskaidekaphobia. If the number 666 makes you break into a cold sweat with shortness of breath and whatnot, you've got hexakosioihexekontahexaphobia. B-29 Doc has been cleared for takeoff at airshows across the country. Doc’s Friends announced last week the FAA has granted them a special airworthiness certificate for the enormous Second World War bomber. The new status means the end of the first phase of flight test operations and removes many of the accompanying flight restrictions. “We’ve been working for the past several months with the Wichita FAA office, along with the FAA team in Washington, D.C., and we are pleased that we have satisfied the requirements for ‘phase one’ of flight test operations,” Jim Murphy, Doc’s Friends Restoration Program Manager, said on the organization’s website. “The FAA’s approval means we can begin the next phase of our restoration and flight operations plan, and that includes sharing our historic warbird with airshows around the United States.” Heading the list of possible airshow dates is AirVenture 2017. Since the Commemorative Air Force often takes its B-29 Fifi to Oshkosh, it could mean the only two flying B-29s in the world will meet there. The group says it’s looking at shows in at least six states and the schedule will be announced later. In the meantime, the airplane is being woken up from its winter hiatus. "We have a few more minor winter maintenance items to complete and we’ll begin running engines before the end of March. If everything goes as planned, I expect us to be back in the air in early April,” Murphy said. NTSB Completes Evaluation of Materials from Eastern Airlines Flight 980 - Materials Do Not Contain Data! This information was taken from the hyperlink below of Operation Thonapa and Eastern Flight 980. It continues as the NTSB Senior Agent Accident Investigator Bill English, takes custody of Eastern Airlines 980’s black box — metal casing from the CVR and FDR along with a spool and many fragments of magnetic tape. When we returned from Bolivia in June, 2016, we thought that the process of getting the metal and tape we found — pieces of the cockpit voice recorder and flight data recorder — to the NTSB would be a simple task of finding the right people and coordinating a meet up. Little did we know. We learned that under ICAO Annex 13, international law prohibits the United States NTSB from accepting the material because, under that same law, Bolivia is the lead country for the investigation. No matter who was on board (there were no Bolivians) or where the airline was based out of (Eastern was a U.S. airline), the country where a plane crashes is required by law to lead the investigation. AVi8 Air Capital was formed by Ray Sisson and Ed Wegel to become the next major aircraft leasing platform. They determined that there is a consolidation trend among the major leasing companies, and therefore the need and the opportunity for a new leasing company that can take advantage of the current aircraft finance/airline order position environment, as well as the ability to provide good solid risk adjusted current returns to investors. AVi8 will invest strategically in a commodity of narrow body and wide body aircraft, with good geographic and credit diversity. AVi8 will be a partner for manufacturers by identifying and supporting new airline customers' fleet growth, and airlines by financially supporting their aircraft acquisitions and dispositions to optimize fleet efficiency, as well as other lessors by acquiring portfolios of on lease aircraft thereby enabling them to manage exposure, portfolio age, and geographic/credit/asset exposures. The Founders are recruiting a very highly experienced team to manage the company, initially outsourcing many of the back office functions required by leasing companies until scale is reached.Their Team: Raymond C. Sisson, Executive Chairman, Ed Wegel, CEO and Steven Tingey, Chief Investment Officer. Ray Sisson is a Co-Founder and Executive Chairman at AVi8 Air Capital. He is also a member of the Board of Advisors for the transport investments of Hudson Structured Capital Management. Mr. Sisson was formerly President and Chief Executive Officer of AWAS from 2010-2016. At the time of Mr. Sisson’s departure, AWAS was a leading, global aviation leasing company with a fleet of over 300 aircraft worth over $12.5 billion, serving over 110 airlines in 49 countries. Mr. Sisson served in several leadership positions at GE Capital Aviation Services (GECAS) from 1995-2008 including SVP and General Manager for the Middle East, Africa and Russia region. He also has served as President & CEO of Titan Aviation Leasing and as Chief Commercial Officer of SR Technics. Mr. Sisson started his career in New York as a corporate lawyer specializing in aircraft finance. Mr. Sisson holds an MBA from the University of Chicago, a law degree from Georgetown University Law Center, and a BA in Economics from Bucknell University. Ed Wegel is a Co-Founder and the CEO of AVi8 Air Capital and has over 30 years of experience in the airline industry, investment banking and aviation finance. He has been the architect of several major aircraft purchase orders with Boeing, Embraer and Mitsubishi Aircraft. Mr. Wegel joined AVi8 Air Capital from Eastern Air Lines Group where he was founder and served as its President and CEO. Under his direction Eastern grew to a fleet of six modern 737-800 aircraft within months. He also led negotiations leading to the orders for 10 new Boeing 737 MAX aircraft and 20 new Mitsubishi MRJ-90 aircraft. Prior to Eastern, Mr. Wegel was President, CEO and a Director of Chautauqua Airlines/U.S. Airways Express. While at Chautauqua, he originated an order, and structured and raised the equity, for the acquisition of 80 Embraer aircraft. Mr. Wegel also served as President, COO and a Director of BWIA International Airways and was a co-founder and member of the board of directors of Atlantic Coast Airlines (United Express). Mr. Wegel began his career in investment banking and was a Vice President in the investment banking/restructuring division of Lehman Brothers where he worked on several major airline restructurings and ran Lehman's portfolio of 75 commercial jet aircraft. Mr. Wegel graduated from the United States Military Academy, West Point and received his MBA in Finance from the University of Northern Colorado. Steven Tingey: Steven Tingey’s career has focused on the transportation and energy generation distribution sectors, with an emphasis on large ticket and cross-border leasing. Prior to joining AVi8, he served as Chief Investment Officer for SKY Leasing, focused on the capital raise with the Public Sector Pension Investment Board (PSP) and establishment of the headquarters office in Dublin, Ireland. Prior to SKY he worked in the portfolio management and trading areas of AWAS in Dublin, an aircraft leasing company backed by the private equity firm Terra Firma and the Canada Pension Plan Investment Board (CPPIB). Steven was also a managing director at Bank of America Leasing Ireland and acted as portfolio manager for the bank’s international aviation portfolio of over 700 aircraft. His responsibilities included serving as a marketing officer in the bank’s U.S. operations, covering origination, trading and restructuring activities for the transportation and energy leasing segments, which compromised a significant part of the overall $38 billion international lease portfolio. Steven holds a B.S. from University of Oregon and is a CFA charter holder. SEATTLE — A band of amateur scientists selected by the FBI to look for clues in the world’s most infamous skyjacking may have found new evidence in the 45-year-old case. They’re asking for the public’s help because of potential leads that could link the hijacker known as D.B. Cooper to the Puget Sound aerospace industry in the early 1970s. The scientific team has been analyzing particles removed from the clip-on tie left behind by Cooper after he hijacked a Northwest Orient passenger jet in November 1971. A powerful electron microscope found more than 100,000 particles on old the JC Penny tie, including cerium, strontium sulfide and pure titanium. “These are what they call rare earth elements. They’re used in very narrow fields, for very specific things,” said Tom Kaye, lead researcher for the group that calls itself Citizen Sleuths. Kaye said the elements were rarely used in 1971, during the time of Cooper’s daring leap with a parachute from the passenger jet. One place they were being used was for Boeing’s high-tech supersonic transport plane, which was being developed with government funding in the 1960s and 1970s. Kaye wonders if Cooper could have been a Boeing employee or a contractor who wore the tie to work. “The tie went with him into these manufacturing environments, for sure, so he was not one of the people running these (manufacturing machines). He was either an engineer or a manager in one of the plants,” Kaye said. Kaye says Boeing was developing cutting edge monitors, like radar screens, that used some of the elements found on the tie. Kaye says the public’s help is needed, particularly from old-timers with experience in the aerospace industry in the Pacific Northwest. The scientists would like to hear theories from the public on what those materials could have been used for. They hope the information can help build a profile of Cooper. “Someone may be able to look at those particles and say ‘Oh my gosh. I know what that means having those particles on the tie,” Kaye said. Tipsters can reach the group through the “contact” tab on the Citizen Sleuth website. DB Cooper case 'solved': FBI tells niece of skyjacking suspect they are ready to close one of America's biggest mysteries after 'matching' fingerprint. The Northwest Airlines notorious skyjacking saga that has baffled authorities for 40 years may have finally been solved. An Oregon woman who claims her uncle was the elusive criminal known only as DB Cooper says she has been told by the FBI that her evidence is enough for them to close the file on the case. Burdened by guilt over her knowledge surrounding the case, Marla Cooper came forward earlier this year, claiming she had a 40-year-old family secret protecting her uncle, a man named Lynn Doyle Cooper. Marla Cooper said she was eight years old when her uncle, whom she called LD Cooper, came to her home, badly injured, for Thanksgiving in 1971 - the day after the infamous incident. He claimed his injuries were the result of a car crash. Later, she said, her parents came to believe that L.D. Cooper was the hijacker. Mrs Cooper never saw her uncle again after that day and was told he died in 1999. It was the FBI's most promising lead for the mystery of who was behind the hijacking of Northwest Airlines flight from Portland to Seattle following a bomb threat on the night of November 24, 1971. Marla Cooper also provided investigators with a photograph of LD and a guitar strap that he owned for fingerprint testing. While the results of the fingerprint test have not yet been determined, authorities seem eager to end the investigation. Miss Cooper told NBC affiliate WFIE: 'Regardless of the findings of the fingerprints, they would be closing the case after this. He said, "I am certain your uncle did it. I feel certain that your uncle did it. And that, what's the point in continuing the investigation?" In addition, Marla Cooper said that her uncle was fixated on a comic book character named 'Dan Cooper,' the name the skyjacker gave the airline before boarding. FBI officials told the station that they are conducting the tests, but would not comment on their next move in the case. As for the $200,000 ransom, she believed Lynne Cooper lost it all as he parachuted to earth. The mysterious hijacking has intrigued everyone from federal agents to amateur sleuths. On that day in 1971, the suspect, who was wearing a suit and sunglasses, boarded the flight after buying a $20 one-way ticket to Seattle. After getting on the plane, he ordered whisky and lit a cigarette before passing a flight attendant a note that read: “I HAVE A BOMB IN MY BRIEFCASE. I WILL USE IT IF NECESSARY. I WANT YOU TO SIT NEXT TO ME. YOU ARE BING (sic) HIJACKED.” Cooper told the captain that in return for $200,000 and four parachutes, he would allow 36 people to leave the plane when it landed in Seattle. The FBI agreed to the swap and the plane took off again under Cooper's orders to fly towards Mexico at an altitude of under 10,000 feet. Somewhere over the lower Cascade mountains in southwestern Washington, Cooper stepped out of the plane with a parachute strapped to his back. He was never seen again. There were more than 1,000 possible suspects considered over the past four decades. Several people even claimed to be Cooper at times, but were dismissed on the basis of physical descriptions, parachuting experience and, later, by DNA evidence recovered in 2001 from the cheap, clip-on tie the skyjacker left on the plane. Items recovered from the skyjack include $5,800 of the stolen money, in tattered $20 bills and Cooper's tie. Many believe that Cooper was Richard McCoy, a Vietnam War veteran, experienced parachutist and BYU political science student who staged a similar hijacking several months later. But the FBI has said that McCoy - who was killed in a shoot-out with law enforcement officers after a prison break in 1974 - simply didn't fit the description of Cooper provided by two flight attendants. In 1980, a boy walking near the Columbia River found $5,800 of the stolen money, in tattered $20 bills. U.S. and British Travel Ban?